If you stop by the Calgary Zoo, make sure to check out this cute new exhibit. 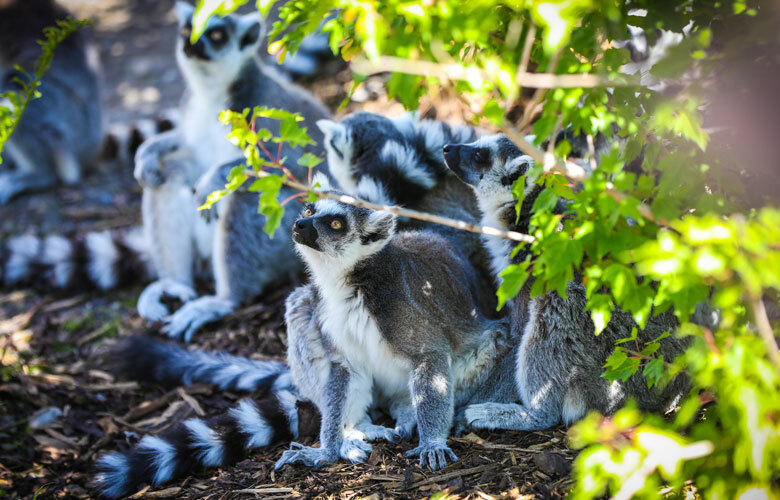 Summer is in full swing—and so are the lemurs at Calgary Zoo’s newest exhibit, the Land of the Lemurs. Unlike most zoo exhibits, the Land of the Lemurs offers zoo-goers a unique, interactive opportunity. 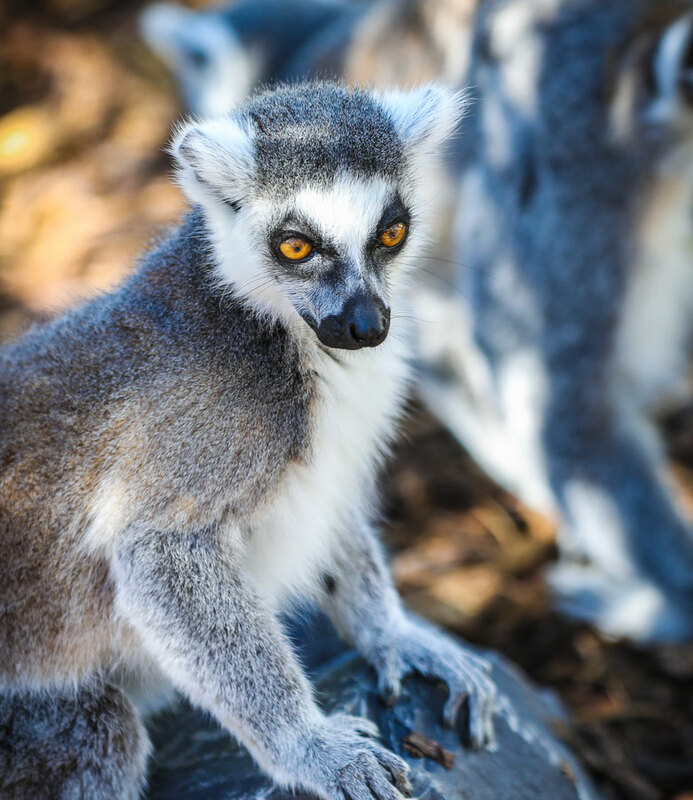 Visitors will get to walk through the lemurs’ exhibit, meeting species such as the red-fronted, the ring tailed and the black-and-white ruffed lemur. According to Trish Exton-Parder, Lead, Media Relations at the Calgary Zoo, guests will be “amazed” and “open-mouthed with wonder” at how truly interactive this exhibit is. The walkthrough design encourages guests to directly engage in the habitat of the lemurs, where a “respectful relationship between both guests and animals” is emphasized. As you stroll through the Land of the Lemurs, you can expect to see lemurs leap from branch, to rope, and to rock beside and above you; an environment that mimics their natural home. Lemurs can only be found on the island of Madagascar, just off the southeast coast of Africa. Unfortunately, this environment is jeopardized and the lemur populations are increasingly endangered, highlighting the need for education around environmental conservation and protection for these creatures. By going to the Zoo, you simultaneously support the lemurs through funds collected from every ticket sale. Visiting the Calgary Zoo is a fantastic opportunity to not only learn about these rare, bouncy creatures, but so many more. Other educational opportunities include viewing the bones of dinosaurs that used to roam Cretaceous Alberta, watching penguins plop into icy waters and milling about with meerkats from the African Savannah. Through hands-on interaction, exploration and educational programs, the Calgary Zoo is able to teach children and adults alike about the importance of conservation. The lemurs live in a warmer building that can be viewed from exterior windows during evenings and winter months, but prefer to lounge in the sun during the warm Calgary summer. As such, summer is the best time to visit them as you can actually stroll through the exhibit and visit them. If you’re ready to see these adorable pre-primates up close, make the whole experience hassle free with hotel packages that pair perfect accommodations with family passes to the zoo. The hotels themselves offer fun experiences to families, with amenities like a family fun water park at Sheraton Cavalier or a rooftop Jacuzzi at Acclaim Hotel. With travel plans so easily sorted, all that’s left is to have a unique, up-close and personal interaction with this lovable species.